These 3.5W vintage Edison style LED filament bulbs are the perfect replacement for standard 25W incandescent bulbs. 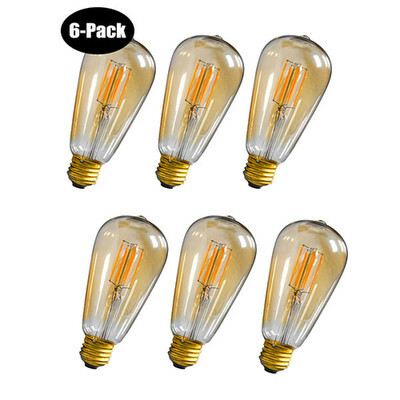 Modern LED filament technology has been brilliantly combined with an amber-colored, clear glass style bulb to give off an amazing 360 degree beam of light that creates a perfect vintage looking, warm and relaxing environment. The dimmable design allows you to create the perfect atmosphere for every occasion. Features an E26 base.